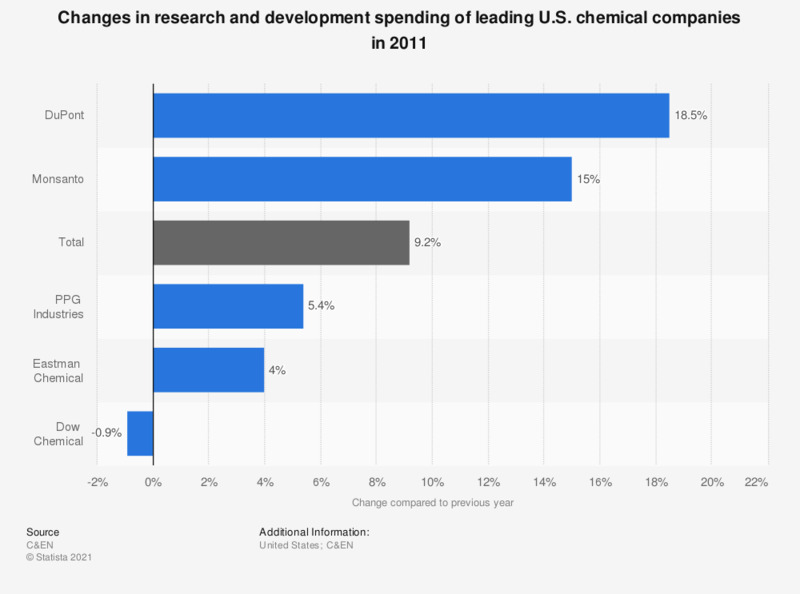 This statistic represents the changes in research and development spending of leading U.S. chemical companies in 2011. The total U.S. chemical industry reported a R&D spending growth of 9.2 percent compared to the previous year. * 17 companies were included in the survey.